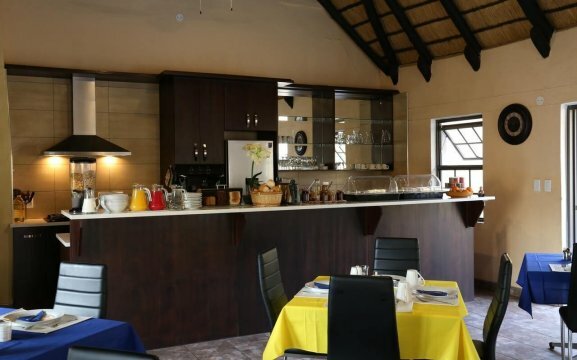 Comfortable with a personal flair, ideally situated in a quiet area in Klein Windhoek a few minutes’ drive from the city centre of Windhoek. 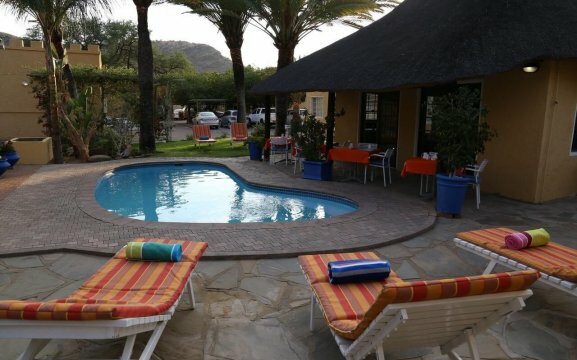 Let yourself be spoiled and enjoy our warm Namibian hospitality. 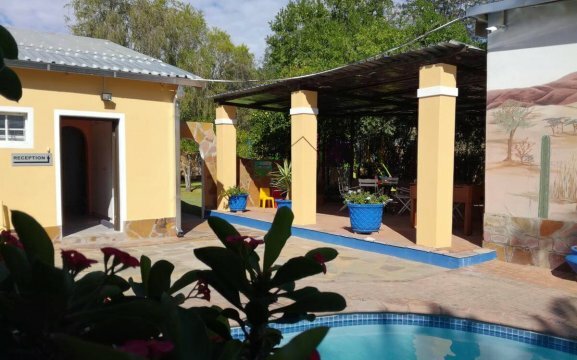 We have an outdoor pool and barbecue, where guests can enjoy a meal and relax. 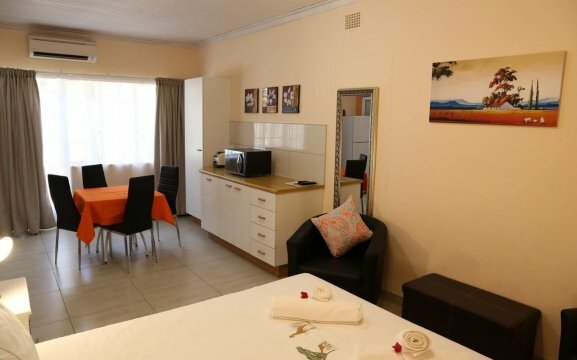 We offer very comfortable double en-suite rooms with a fully equipped kitchenette. 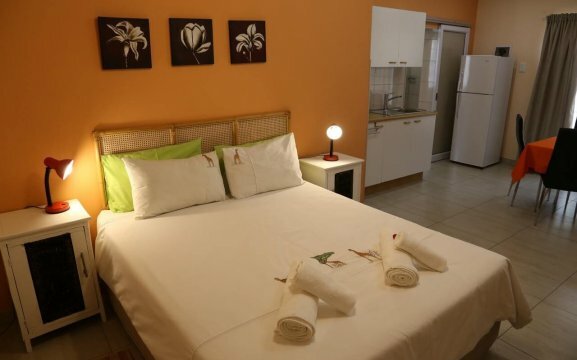 All rooms have a flat-screen TV, air-conditioning, safe, a sitting area, kitchen utensils, minibar and a private bathroom. We also offer room service. 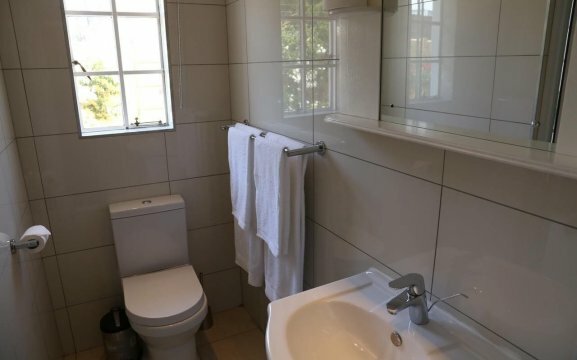 We speak German, English and Afrikaans. Arrive as guests and leave as Friends. 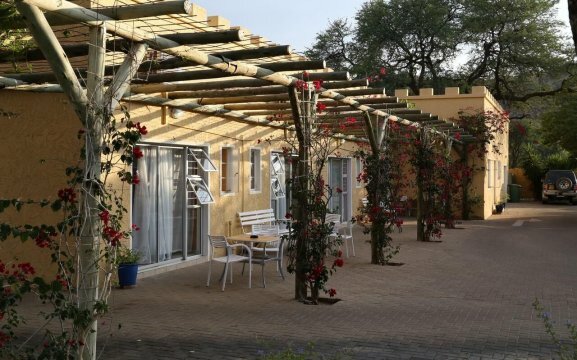 The closest landmarks to our guesthouse include the National Botanical Gardens, the Reiterdenkmal, National Museum of Namibia ACRE, the Alte Feste Museum, National Theatre Namibia and the Curt von Francois Statue.